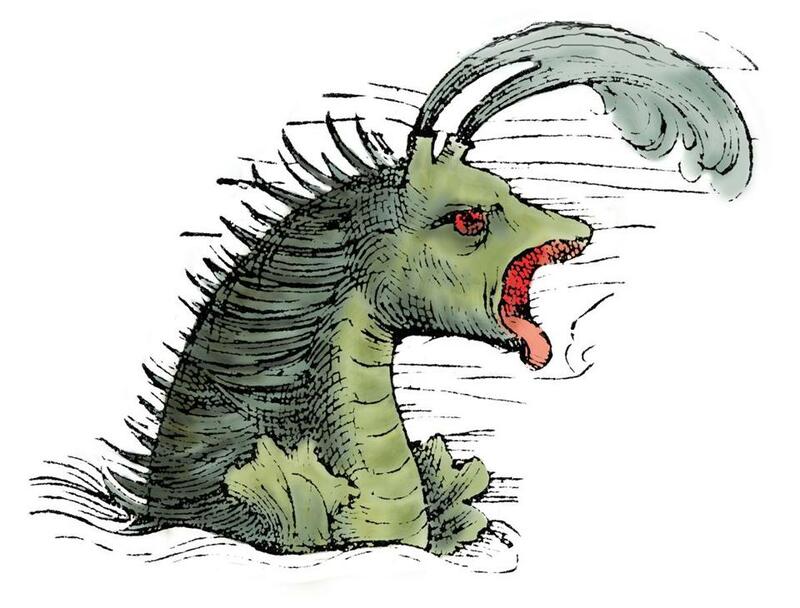 Joseph Nigg, the inventive mind behind “How To Raise and Keep a Dragon,” has immersed himself in the lore and history of imaginary animals for 30 years. His newest book, “Sea Monsters: A Voyage Around the World’s Most Beguiling Map” (University of Chicago), is itself a neat trick. Unfold the book jacket to reveal a poster-sized reproduction of a richly detailed map of Scandinavia that dates to 1539. The seas on the map are littered with fantastic creatures, such as a sea unicorn and a giant worm that wraps itself around a big ship. Nigg is an extremely capable guide through the treacherous waters.